L'Ametlla de Mar is a municipality in the south of Catalonia that belongs to the province of Tarragona; a seafaring village that still retains its roots and traditions, famous for its paradisiacal coves and Bluefin tuna. It is an inspiring and relaxed place where most visitors come to enjoy its tranquility and to be in contact with nature. Not everything is sun and beach in Ametlla de Mar, as you will also find a world of outdoor activities that are perfect to enjoy with the whole family, such as historical routes, trails by the sea, and much more. 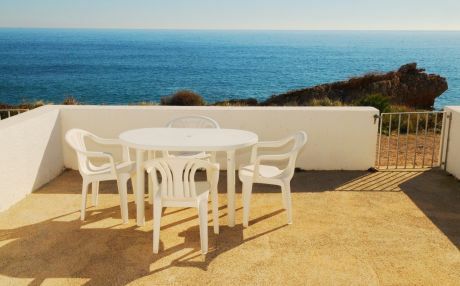 L'Ametlla de Mar has spacious residential areas on the outskirts of the town where there is a large number of chalets and houses with private pools. Renting a house is undoubtedly the best option for groups or large families. This type of accommodation gives you all the peace and freedom you need during your vacation. Undoubtedly, a convenient and affordable option for the whole family. With more than 20 coves spread all over the coast in l'Ametlla de Mar, it is very difficult to make a selection of the best. You can enjoy long sandy beaches, but what stands out along this steep coast are the coves and small hidden beaches that you can discover. We give you our small selection of the best beaches and coves of this place. Without doubt the biggest tourist attraction of l'Ametlla de Mar are its more than 18 paradisiacal coves bathed by crystal clear waters, but also, the gastronomy is another of its great attractions; a cuisine based on land and sea products where it stands out above all the Bluefin tuna, which belongs to the so-called Mediterranean diet. L'Alguer: located next to the port, this is the best urban beach of l'Ametlla de Mar; a beautiful sandy beach with surprisingly crystalline waters and a family friendly and relaxed atmosphere. Playa de Alguer is one of the most preferred beach by both tourists and locals. It has very good access through a small ramp, as well as showers and good facilities. It is also water sports friendly. Cala Calafató: located about 3 km north of l'Ametlla de Mar in Urbanización de Calafat, we find one of the best beaches in the whole coast: a beautiful sandy beach of about 350 m protected by cliffs and surrounded by a lush nature. The pine forests almost touch the sea, its sand is fine and its waters are crystal clear. Cala Forn: Cala Forn has everything, and for many is the best beach of l'Ametlla de Mar. In addition to having abundant vegetation and extraordinarily crystalline waters, it also has a fantastic chiringuito managed by the same family for more than 20 years that offer delicious fresh fish and seafood dishes. Cala Forn is located in Urbanización Tres Calas, about 6 km north of l'Ametlla de Mar. Cala Sant Jordi: a beautiful sandbank of more than 800 m long overlooked by a beautiful Templar castle of the XVII century in one of its ends. Its sand is fine and has a family friendly and relaxed atmosphere. It also has a good restaurant where you can taste delicious typical dishes of the area. Cala LLobeta: a small and beautiful cove located in Calafat about 7 km from the center of l'Ametlla de Mar. Surrounded by lush vegetation, low cliffs and crystal-clear waters, it does not leave anyone indifferent. The beach is famous for being a starting point for many diving excursions where you can immerse in these transparent waters to enjoy the fauna that inhabits here. The rental of villas and houses in Ametlla de Mar are the best options to accommodate your whole family; thanks to the comfort offered by a holiday house, you can organize your stay with total freedom. Tripkay makes it easy for you to find the perfect accommodation, as we have created an easy and intuitive platform where, with just a click, you can see all the apartments, flats and houses available in the area, as well as its features, photos and descriptions. Looking for a villa with a private pool? Or, do you prefer a terraced house with a garden? 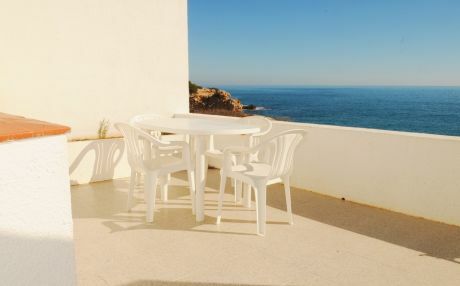 Tripkay offers you tourist accommodation in the best areas of l'Ametlla de Mar, whether central or overlooking the sea. Which one will you choose?